Sam Smith has spoken out about his battle with eating disorders, insisting that he has “reclaimed his body” for a new photoshoot. 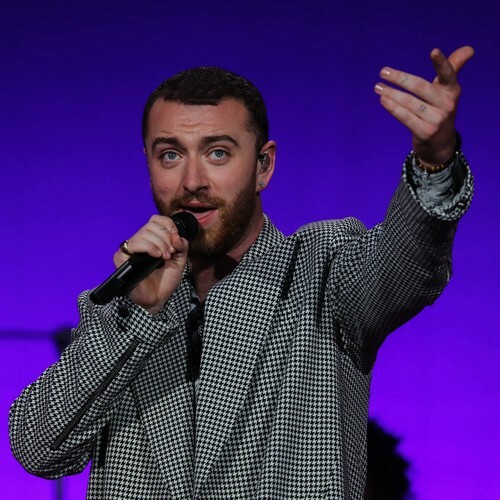 The Dancing With A Stranger singer, 26, posted a shirtless picture of himself on Instagram (12Feb19), in which spoke about his complex relationship with his weight and body confidence. “In the past if I have ever done a photo shoot with so much as a t-shirt on, I have starved myself for weeks in advance and then picked and prodded at every picture and then normally taken the picture down,” he wrote candidly. “Yesterday I decided to fight the f**k back. Reclaim my body and stop trying to change this chest and these hips and these curves that my mum and dad made and love so unconditionally,” he continued. The singer, who shot to fame following the release of his 2014 album In The Lonely Hour, shed a reported 3.5 stone with the help of nutritional therapist Amelia Freer. While admitting he’ll never be completely happy with his body, Smith added he is feeling more confident than ever and is optimistic about the future. “I’ll always be at war with this bloody mirror but this shoot and this day was a step in the right f**king direction,” he wrote.